Former Warrior Tui Lolohea returns to Mt Smart for a long-awaited test, Tonga v Australia. A bitter battle is looming between the NRL administration and player managers over Rugby League Central's plan to reform the agent accreditation system. The code's 110 accredited player managers have formed a union and have threatened legal action to resist the administration's attempts to make them accountable to the same NRL rules by which players and officials must abide. The agents insist on retaining the current system of self-regulation. A meeting at RL Central in Sydney on Monday, attended by only a handful of agents, ended with NRL chief operating officer Nick Weeks reiterating that the commitment to reform across the game was widespread and insisting the strength of resolve at NRL headquarters was very strong. A similar meeting will be held in Brisbane on Tuesday. "There's a smash-up coming," one official said after the Monday meeting. "It's driven by the contest between our desire to fix a system of agent accreditation that is clearly broken, and the will of agents to retain a system of self-regulation under which they remain unaccountable." Negotiations between Weeks and the agents over reform began early this year but resulted in the agents combining to form their own union to fight it. They withdrew from negotiations last month and the majority have refused to engage on the substance of the reform since. Instead, they have engaged lawyers and threatened to seek an injunction to stop any attempts to submit them to jurisdiction under NRL rules. NRL clubs and the RLPA support the administration's insistence on replacing the current system where the NRL has only one vote on the seven-man committee regulating the action of agents. 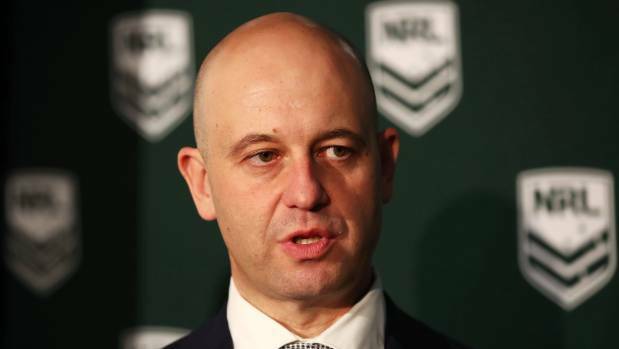 The one constant question throughout 2018, during meetings between NRL chief executive Todd Greenberg, Weeks and the NRL's 16 clubs, has been: "When are you going to fix the agent accreditation scheme?" Under the proposed reform, the NRL and RLPA would take joint control of the accreditation and discipline process, dismantling the current committee where agents have three representatives. No agent has been accountable for the salary cap breaches at Parramatta and Manly. Seven club officials were thrown out of the game and A$1.75m (NZ$1.9m) in fines were imposed on the two clubs, but no player agent has been disciplined for his involvement in facilitating the deals that breached the cap. The inability of the game to investigate or sanction agents for their conduct in these large-scale salary cap matters undermines the credibility of the sport. It also tars all agents with the same brush as their unscrupulous colleagues. Agents extract about A$10m a year from the code's economy, a sum equivalent to the salary cap of one NRL club. Over the past 15 years, player salaries have compounded at a rate of 10 per cent per year while player managers have put their hands out for 7 per cent commission. While some have a genuine desire to enhance the professional and emotional advancement of players, many have a client list so long they cannot possibly service them all. Of the NRL's 110 accredited agents, less than 20 have viable businesses. Of the 5000 players they represent, only about 500 are professional rugby league players. The balance is made up primarily of under-age players. While the legal action to injunct the NRL's reform plan is being funded by the biggest earning agents, the fight is being led by the old-school managers who have benefited from self-regulation the past 15 years. Many of the younger agents support a new scheme. They want reform and an opportunity to compete on a level playing field. Obviously, the NRL administration will hope some of these agents splinter away from those who oppose the scheme. The NRL insists the reform process is not about reducing the fees that agents can charge but rather ensuring they provide a professional service. A significant problem with the current system is that it allows agents to sign fixed term agency contracts that provide no opportunity for player to get out of the deal. This is unprecedented in Australian and global sport. There are cases where players have signed 10-year contracts (effectively a lifetime deal for a player) with no opportunity to break that deal if the player wants to leave because he is unhappy with the service. The reform model would continue to allow long-term deals but would grant a player or agent a reasonable opportunity to extract himself from the relationship. In June last year, the current seven-person accreditation committee introduced a rule which allowed a player to terminate the contractual relationship with an agent who is sanctioned for a breach of its rules. However, any management agreement signed before June 2017 was quarantined from this rule. Furthermore, with no agents sanctioned in the past two and a half years, the rule has proved meaningless.